Did you miss Ron on Central PA Live Tuesday! No problem! We have a recap of his segment for you, and you can view the entire video by clicking here. With the return of warmer weather (finally! ), he focused on products for keeping your family safe from insects, and especially ticks, while you’re outdoors this year! works on clothing, tents, etc – not for use on skin! For natural, chemical free option, we recommend the Grandma’s “Don’t Bug Me Bar”. Use it in the shower or out of the shower! We ran out of time to discuss the rest of the products, but we also carry a variety of products for protecting your pets as well as remedies for dealing with the itchy, irritation from insect bites. Don’t forget as you head outside, it is just as important to protect yourself from the sun’s harmful rays! We have products available in the store to cover all your needs! 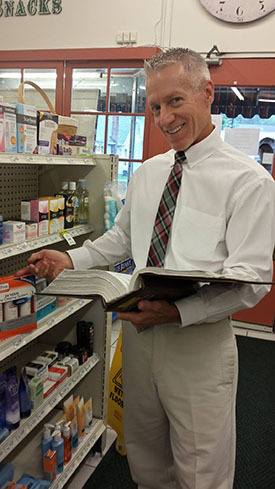 As always, if you have questions or are not sure which product is best for you, we encourage you to talk to one of our pharmacists!